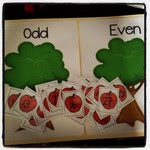 One of the first concepts I will be teaching in math this year is even and odd numbers. There is an emphasis on pairing and determining if a group is odd or even and that moves into deciding if a specific number is odd or even. (Scroll to the end to see a fun game!) I'm one of those people who really pushes conceptual knowledge of math concepts. 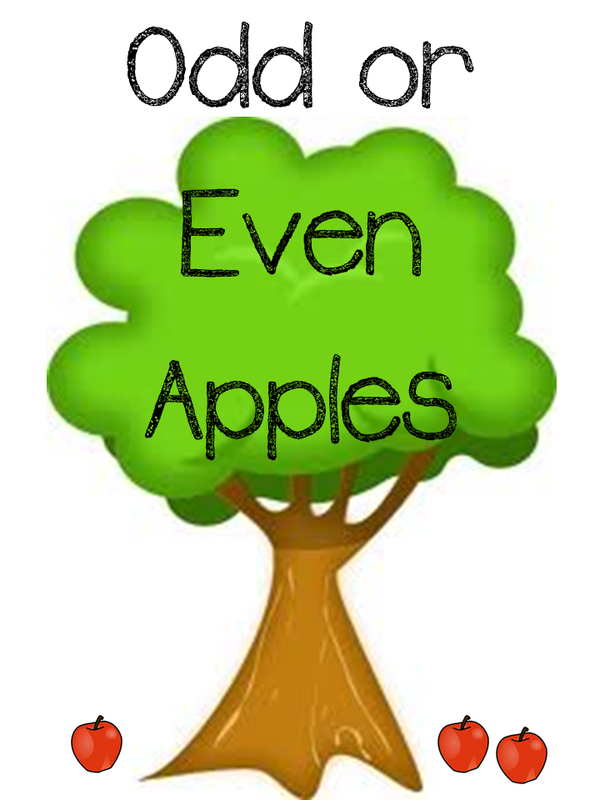 Don't get me wrong, I have a few songs up my sleeve to help kids remember things. 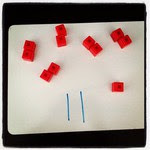 But-I also want them to really understand why something is the way it is-like why a number is either even or odd! 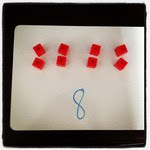 I like to start with a concrete representation, using manipulatives like unifex cubes, counters, or the units from our place value kits. I've also been known to use plastic bugs and people, pencils, counting bears...pretty much anything the kids can put their hands on. We pick a number, write it on our whiteboards, count out that many pieces, and then work to determine if that group as a whole is odd or even using a pairing strategy. Then we pair them up, only this time there is an ODD MAN OUT! Poor guy doesn't have a partner, so this means the number is odd. This is what we work on before moving to drawing pictures to represent a number and circling pairs. This year I'm really putting an emphasis on the ones place from the get go, so as the numbers get larger the kids won't waste time drawing 47 dots and pairing them. 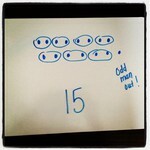 They will only have to draw the digit in the ones place, and eventually just know that a number is even or odd. 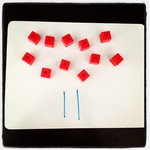 What a great way to practice place value, too! And a close up of the back of my cards. What's great is that I make my cards self-checking, so they know if they are right or wrong. I would hate for them to be practicing incorrectly! 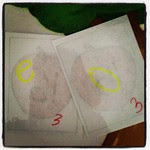 I use a yellow highlighter on the reverse side to put an "e" for even or an "o" for odd. They typically work in pairs, so it's hard to cheat when you have an accountability buddy! You'll also notice small numbers on the backside with the answer. 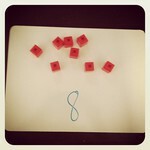 That number corresponds to a bag number to avoid lost pieces and mix-ups. You can click HERE to find the files for the game. It includes the front cover, inside trees and instructions, along with three additional files for the even apples, odd apples, and blank apples, in case you want to make some of your own. I will go check it out right now! Thanks! Thanks so much for the great book suggestions! I also am a BIG supporter of understanding "why" something is what it is. I am struggling right now with my own soon to be 4th grader. I realized he had no idea "why" he was carrying into the tens place in addition last year, which is now leading to not knowing why he has to carry in multiplication. Agghhh! Can't wait to check out your blog!